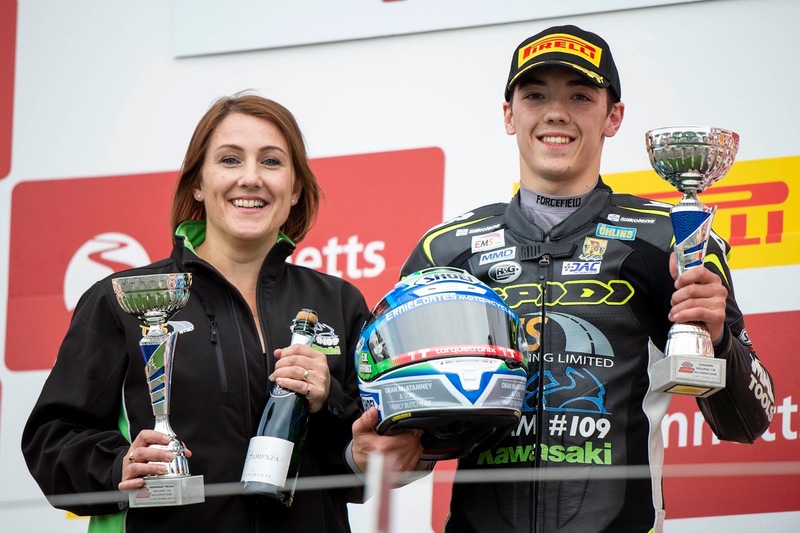 As the Bennetts British Superbike championship made its annual trip to the iconic Silverstone circuit, it proved to be a very successful weekend for Team #109, with Dickies Junior Supersport series leader Eunan McGlinchey completing the double in the class, taking victory in both races to extend his lead in the standings. 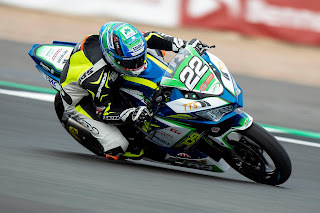 Despite a difficult opening two days, and having to start from the second last row of the grid, Kevin Keyes scored an excellent top ten finish in the Pirelli National Superstock 600 race, progressing seventeen places through the field to take an eighth place finish, maintaining his fifth place finish in the standings, with just twenty-five points separating second to fifth in the table. McGlinchey got his weekend off to a great start, finishing the opening free practice session in third position, before making a few set up changes for qualifying which saw him claim pole position for the opening race of the weekend, finishing over three tenths ahead of the KTM of Brian Hart and Kade Verwey. The opening race of the weekend saw a three way breakaway group at the front, with McGlinchey, Hart and Elliot Pinson all battling for the win throughout the twelve lap race. The three were locked together right until the final lap, and as they rounded the final corner McGlinchey was trailing in second, chasing down the leader Hart. As the pair crossed the finish line, it was McGlinchey who took an incredible victory onboard the Kawasaki Ninja 400 by just one hundredth of a second. It was a similar story in race two on Sunday evening with McGlinchey, Hart and Pinson breaking away from the trailing pack once again, with the three battling it out for each podium position once again. 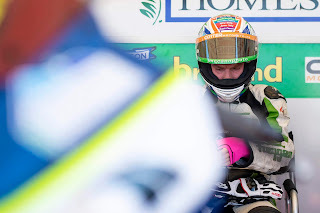 However, as they entered into the final number of laps, McGlinchey had cemented himself at the front of the group, and despite the best efforts of Hart and Pinson, neither were able to stop McGlinchey from taking his second victory of the weekend, which saw the Aghadowey rider extend his lead in the championship standings as we approach the penultimate round of the campaign at Oulton Park this weekend. 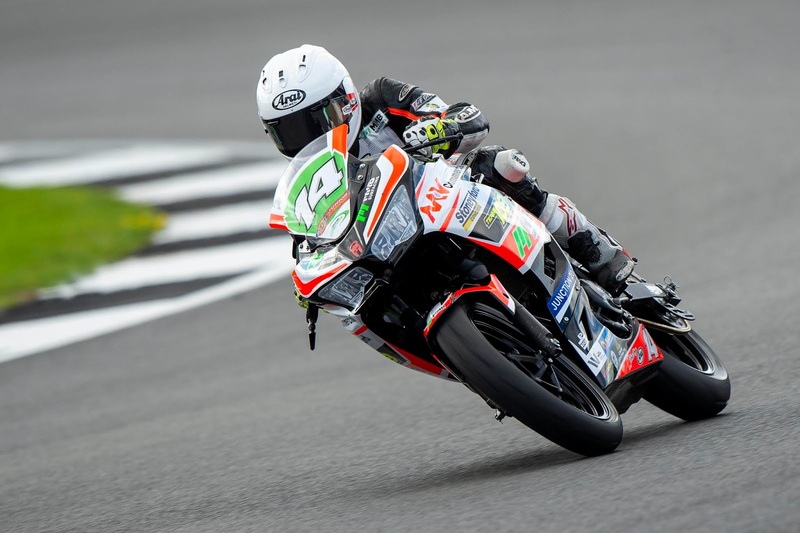 After a difficult weekend at Cadwell Park, Kevin Keyes was keen to put the back luck behind him and get back to the sharp end of the Pirelli National Superstock 600 class. 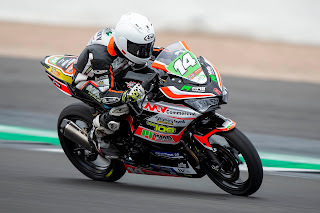 However, after finishing in a solid sixth position in the opening free practice session, a hose clip on the radiator broke forcing him out of the second free practice session, and a small electrical problem in qualifying cost Keyes and the team valuable track time in qualifying. As a result Kevin was forced to start from twenty-sixth on the grid. Despite his issues Keyes put in a fantastic effort in the race. After being pushed wide in the opening corner, the Edenderry rider set about making up ground, and by the time the checkered flag was waved, he had progressed an incredible seventeen positions through the field during the twenty-two lap race to finish in a great eighth position, and score some solid points in his chase for a top three finish in the series. Following his excellent showing, Keyes maintained his fifth place in the championship standings, with just twenty-five points between second and sixth. 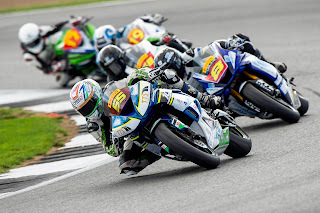 With Ryan Vickers wrapping up the Pirelli National Superstock 600 championship following this weekends event, it is still all to play for in terms of the top three, and with just a race wins worth of points between the next five riders in the class, Keyes’ hopes of a top three position are still well within reach. 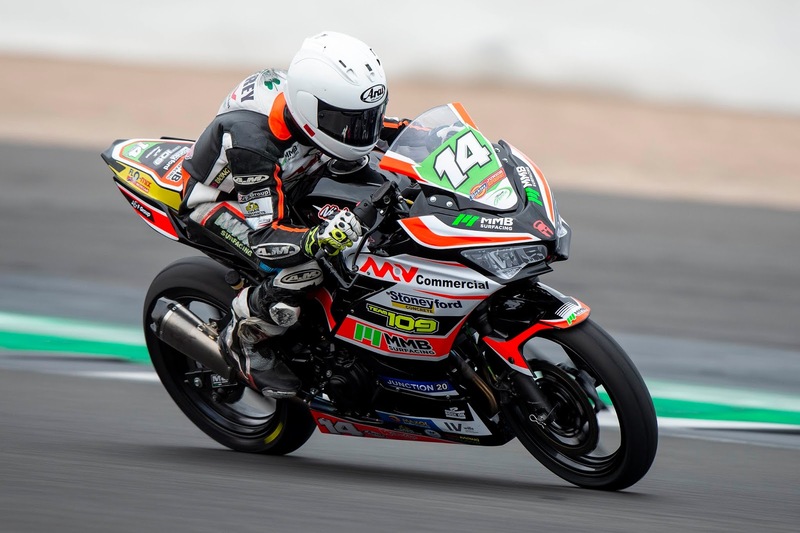 With the next round of the series being held at Oulton Park this weekend, it won’t be long before Team #109 is back on track, and we will once again have a full stable of bikes on the grid, with both McGlinchey and Keyes in action once again. With both the Dickies Junior Supersport and Pirelli National Superstock 600 classes not making the trip to Assen at the end of the month, this is the teams penultimate event, before the series finale at Brands Hatch in October.